This is an easy and beautiful salad that makes the perfect side dish to bring to a potluck. Layered Pasta Salad has layers of macaroni, red onion, peas, ham, cheese, tomato and is tossed in a ranch dressing. 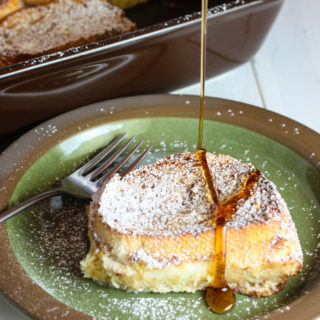 I found this recipe in one of my favorite cookbooks, a fundraiser cookbook put together by fellow dairy farmers in Indiana. 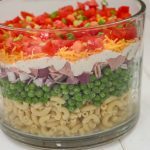 I just love how easy and pretty layered salads are. 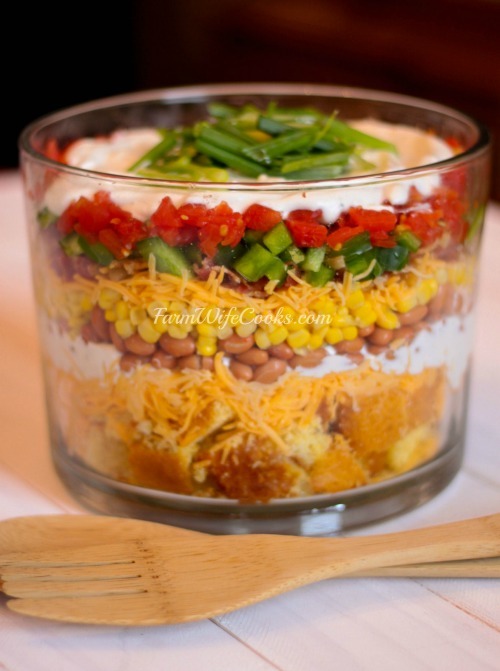 This Cornbread Salad is another one of my favorites! I love this salad so much I ate the leftovers the next day as a meal, just added some green leaf lettuce! 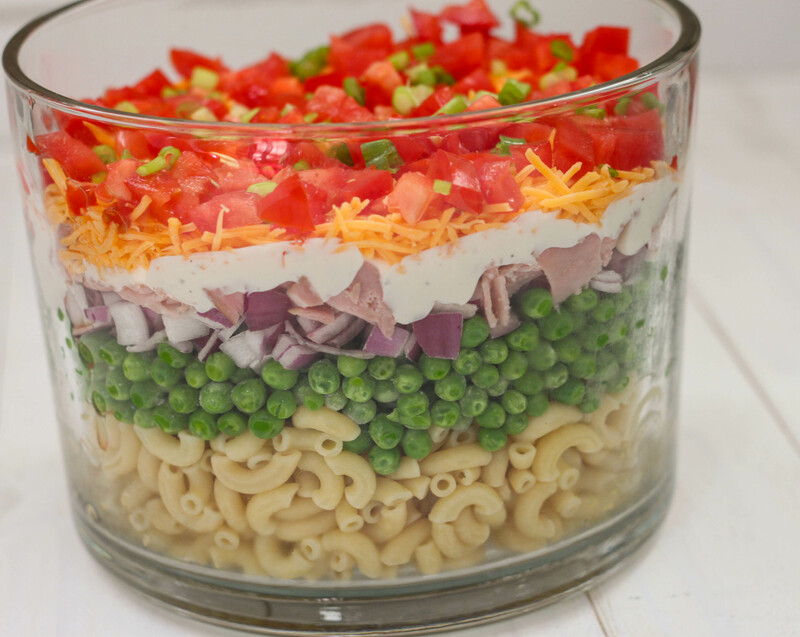 This salad fits perfectly in the Pampered Chef Trifle Bowl but any 9 inch Trifle Bowl will do. 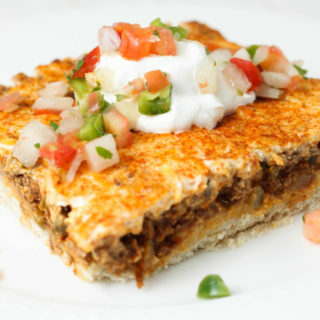 To make this recipe layer the first 4 ingredients, top with the dressing and sprinkle with the cheese, tomato and green onion. 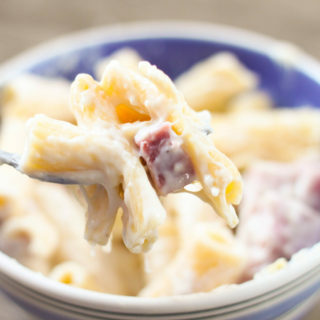 You can change up the ingredient based on what you have in your fridge and your taste. Feel free to make this recipe in a Tupperware or plastic bowl or 9×13 inch pan for more easy when travelling. 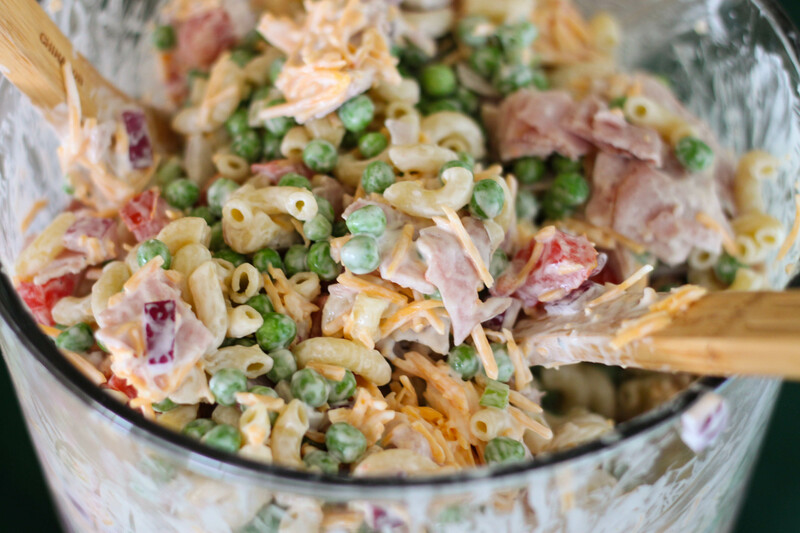 If you are making this for an outdoor event when the weather is warm be sure to place it on a bowl of ice to keep the pasta salad at the appropriate food safe temperature. Layer the first 4 ingredients in a large salad bowl. In a medium size bowl, mix the mayo and dressing spread evenly over salad. Top with cheese, tomatoes and green onion.